While reading the Brighton v Watford matchday programme in December 2012, I was intrigued to read Spencer Vignes’ nostalgic article ‘Married to the Mob’ which celebrated Central TV’s youth drama Murphy’s Mob which ran for four series from 1982 to 1986. Depending on your age, you may have enjoyed it. As a kid, I do remember it on Children’s ITV at the time. However I was slightly too young to appreciate it and instead gave my love to the supposedly much inferior Jossy’s Giants (1986-87) instead. Sorry! ‘Directed by former ‘Hey Hey We’re The Monkees’ drummer Mickey Dolenz, Murphy’s Mob charted the lives of a group of teenagers who followed an English lower league outfit called Dunmore United, in particular their efforts to set up and run a junior supporters’ club. You name it, Murphy’s Mob had it – school classroom angst, punch-ups, football rivalries, snogging (plenty of that) plus a catchy theme tune sung by the late Gary Holton who would find fame playing Wayne in the TV show Auf Widersehen Pet. Note the first clip is from Highbury, before it switches to Vicarage Road (or is it Stamford Bridge?) when the keeper catches the ball! A couple of weeks later Central TV went in search of footage from a Watford match to incorporate into Murphy’s Mob. They needed a game in which the Hornets, playing the part of Dunmore, had dominated and scored plenty of goals. Needless to say one particular fixture caught their eye. Throughout 1983 and 1984 I, along with Albion supporting 11 to 16 year olds everywhere, had to endure countless school yard jibes every time footage of Watford’s (or should I say Dunmore’s?) rampant win over us appeared in Murphy’s Mob, which was regularly. When I read those words, I was amazed. Could it really be that Brighton & Hove Albion had a significant, albeit a stooge-like, part to play in at least one of the episodes of this children’s TV series? Unfortunately, there wasn’t much footage unloaded to YouTube or indeed on other sources on the internet. However, after some detective work, I eventually did track down all 54 episodes, and scrolled through each one (sad, I know!) to find the episode where Dunmore gave Brighton a trouncing. 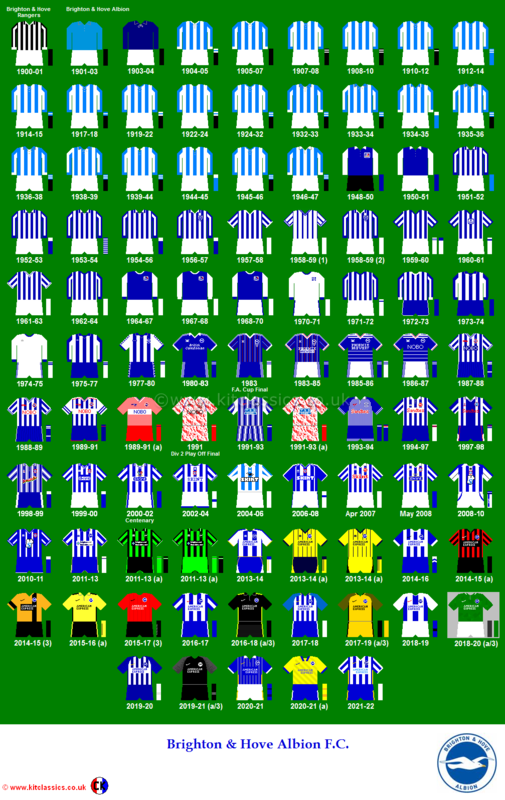 By the end of the 1982/83 season, Watford were runners-up in Division One and Brighton had finished bottom. Both clubs enjoyed a run to Wembley in the FA Cup around that time before the unthinkable happened. In 1985, Central TV began using Derby County as the focus for its football footage, with Dunmore colours changing to blue and white. From Vicarage Road to the Baseball Ground, I wonder if Eric Steele remembers being a Dunmore player at either location. How the devil did you manage to find all 54 episodes of this series? I’ve been trying to obtain it on DVD for years but then I’m not competent with all this digital technology, downloading / uploading lark. 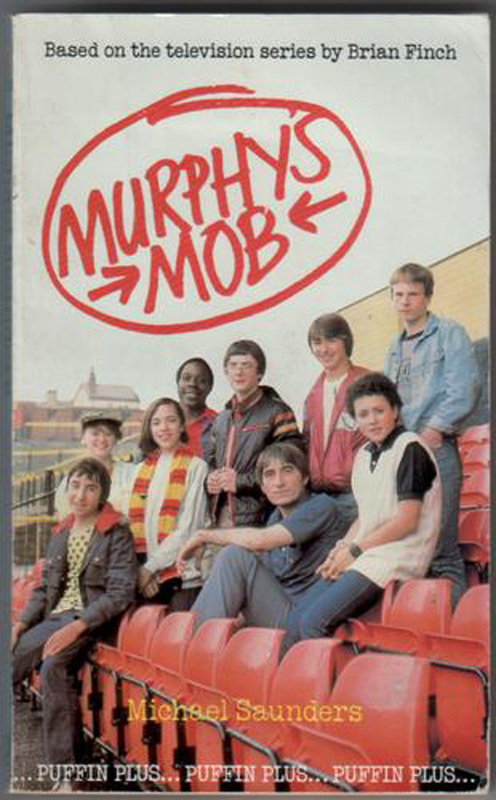 I’ve nearly completed a book on Childrens’ Television Dramas and Murphys’ Mob is my one major gap – because I saw a few episodes when they were originally aired but, to the best of my knowledge, the series has never been issued on VHS or DVD. Is there anyone out there able to sell me DVD copies of these episodes?